Michigan has about 15,000 places on its official tourism website. Chances are, you’ve heard a lot about Mackinac Island and Sleeping Bear Dunes, but the Cheeseburger in Caseville Festival, not so much. 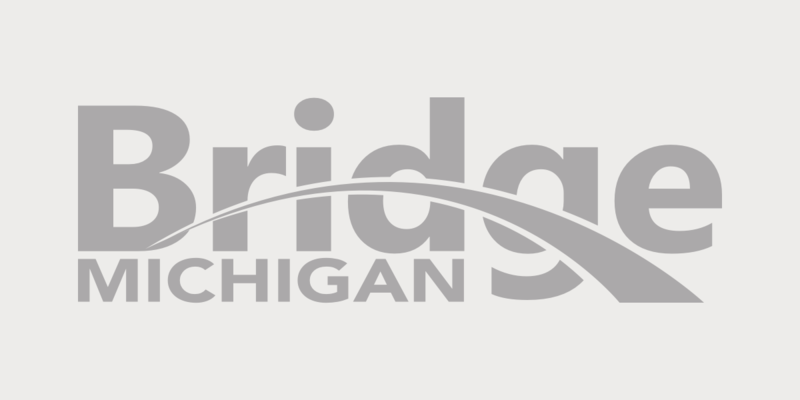 As the summer tourism season opens, Bridge went looking for a few places off the beaten path. Beaver Island. Two hours and 15 minutes by ferry from Charlevoix, this former Native American settlement and 19th-century Mormon colony in Lake Michigan keeps a quiet pace. Secluded shorelines and miles of forest offer hiking and wildlife viewing, as well as biking, hunting, fishing, kayaking and boating. Accommodations include campgrounds, lodges, hotel and motels, and a bed and breakfast. Two music festivals and the Museum Week centered on the history of the island are special attractions. You’ll find restaurants and shops on the island, but, says Beaver Island Chamber of Commerce executive director Steve West, “there’s no such thing as Beaver Island fudge, and we keep our horses in the field where they belong” – a poke at the trademarks of another popular island destination just off the northern Lower Peninsula. Information at www.beaverisland.org. Interlochen Center for the Arts. Southwest of Traverse City, the 1,200-acre wooded campus is the summer home to more than 2,500 U.S. and international students attending the Interlochen Arts Camp to study dance, music and theater. Student concerts, plays, dance performances, recitals and art exhibitions are among the public offerings, as well as a performance series that spans acclaimed theater, dance, classical music, country and rock-and-roll performers. Visitors can take campus tours or walk the campus on their own and sit in on rehearsals. The Interlochen Arts Academy boarding high school houses students during the academic year. Information at www.interlochen.org. Even the cardboard boat race carries the theme of the Cheeseburger in Caseville Festival. Cheeseburger in Caseville Festival. Flamingos and grass skirts festoon the town for this annual Jimmy Buffett-themed festival in the western Thumb. The 10-day event, Aug. 9-18, includes Buffett tribute bands, a Parade of Fools that draws thousands of spectators, cardboard boat race, and dozens of children’s events. And yes, lots of varieties of cheeseburgers in restaurants. Information at www.casevillechamber.net. MotorCities National Heritage Area. Not just one place, but hundreds of auto and labor-related sites and events in southeast and central Michigan that together tell the story of the auto industry. The largest collection of auto-related sites in the world, the congressionally designated area includes museums and homes, speedways, driving and factory tours. Pointing to them all is the MotorCities website, www.motorcities.org, containing a wealth of information and an interactive map to search by places of interest, alphabetically, and city. The Thunder Bay National Marine Sanctuary allows diving on Lake Huron wrecks. Thunder Bay National Marine Sanctuary. The 448-square-mile sanctuary in northwest Lake Huron holds some of the nation’s best-preserved and nationally significant shipwrecks. More than 50 shipwrecks have been discovered within the sanctuary and are seasonally marked by mooring buoys and accessible by paddlers, snorkelers and divers, as well as through seasonal glass-bottom boat tours by private operator Alpena Shipwreck Tours. The Great Lakes Maritime Heritage Center in Alpena, the sanctuary’s headquarters and visitor center, features maritime heritage exhibits, theatre with daily films, and a full-size replica wooden Great Lakes schooner. More than 80,000 visitors last year included tourists, students and researchers. Information at www.thunderbay.noaa.gov. Cornwell’s Turkeyville. What began with an early 1960s idea to sell turkey sandwiches has grown into a multi-faceted destination outside Marshall, near Battle Creek. A dinner theater that runs from spring into December features actors from around the United States, and a busy calendar of events includes flea markets and antique shows, a two-day Civil War reenactment in June, arts and crafts shows, and for motorcyclists, a weekly bike night featuring bands and refreshments. The Camp Turkeyville RV Resort opened last year and offers sites with full hook-up, heated pool, showers and laundry and other amenities. And of course there are the signature turkey dinners, sandwiches and other fare. Information at www.turkeyville.com. Mac Wood’s Dune Rides make the sand into a pathway to fun. Mac Wood’s Dune Rides. For 83 years, a business in west Michigan’s Mears has been doing something many people might not know could be done with Michigan sand dunes: Drive on them. In the Silver Lake Sand Dunes along the Lake Michigan shoreline, Mac Wood’s offers a 40-minute, 7 mile dune ride in open-air vehicles, called dune scooters, that hold about 20 people. The scooters traverse summits and valleys, drive past Silver Lake and visit Lake Michigan beach. Information at www.macwoodsdunerides.com. At Marshall M. Fredericks Sculpture Museum, some views are self-explanatory. Marshall M. Fredericks Sculpture Museum. Located on the campus of Saginaw Valley State University, the museum houses more than 2,000 works that span the 70-year career of Detroit-based public sculptor Marshall M. Fredericks. The collection includes bronze and plaster models, molds, sculptures, and drawings, and the Sculptor’s Studio features sculptures, tools and equipment from Fredericks’ former studios in Royal Oak and Bloomfield Hills. Unveiled and installed in May in an outdoor sculpture garden being constructed at the museum is Fredericks’ last commissioned work, a 12-foot bronze sculpture of Sioux holy man Black Elk. Information at www.marshallfredericks.org. The Michigan state park experience. The network of 101 state parks offer an array of experiences, from the unique blue-green Kitchitikipi natural spring at the Palms Book State Park near the Upper Peninsula’s Manistique to the Waterloo Recreation Area west of Ann Arbor. Waterloo is largest state park in the lower peninsula, covering more than 20,000 acres and including campgrounds, lakes, picnic areas, hiking and equestrian trails and fall viewing of migrating Sandhill Cranes. But beyond that, more than 2,000 events are planned throughout the state this year, including nature education programs, group fitness classes, camping instruction, and at some parks in August, s’mores and meteor-shower watching. There’s also Recreation 101 “intro-to” classes with all the gear and expertise provided, like archery, windsurfing, and kayaking. Says Maia Stephens, Michigan Department of Natural Resources recreation programmer: “We’ve got something for everyone in state parks.” Information at www.michigan.gov/stateparks. Great list Amy. Turkeville is a destination of some California cousins of mine, so we get there from time to time. The trains in the fall there are a lot of fun for the kids. I love our state!